Titans owner Bud Adams has made his expectations very clear this season—win. That’s why the Titans invested so much money into highly praised free agents Andy Levitre, Delanie Walker, Shonn Greene, and Bernard Pollard. The Titans are fortunate to meet the Steelers at the beginning of their season as opposed to the end because teams are better prepared later in the year. 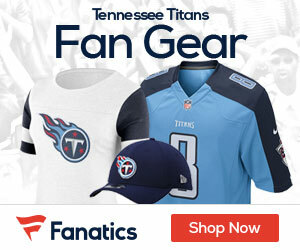 A victory against a quality opponent is a great way to ignite the Titans fan base and encourage the organization. Below are two players for offense and defense that will be the keys to victory if they play well, or reasons for the loss if they don’t. 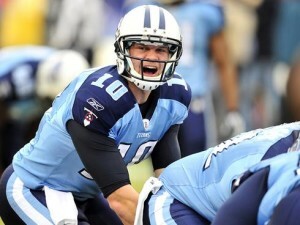 Jake Locker. Jake Locker is heading into a critical season in 2013. Fans and the organization may lose patience if he doesn’t start emerging as a legitimate QB capable of getting this team in contention for the conference title. The Steelers have always been a strong defensive team, but have aged a little. They are still a threat, but easier to exploit than recent years. If Locker can be more accurate hitting his receivers, this will give Chris Johnson more running room and put more points on the board. If Locker becomes too indecisive, or jeopardizes his health in any way, the season will rest on the ever-inconsistent Ryan Fitzpatrick. Delanie Walker. The free agent tight end from San Francisco was a powerful weapon for Alex Smith and Colin Kaepernick last season. While most defenses focused on Vernon Davis, Walker transitioned from a blocker and special teams contributor to a pass-catching match-up nightmare. Walker has the speed of a receiver, and the blocking ability of a fullback. The Steelers will have trouble matching up against him with Jason Worilds, Lamar Woodley, or William Gay. Walker has had problems in the past with receiving consistency, but could emerge as Locker’s favorite target. Kamerion Wimbley. Steelers left tackle Mike Adams was repeatedly beaten last season against quality pass rushers. Wimbley could have a monster game forcing the team to send Heath Miller or Issac Redman to assist in blocking instead of receiving. The less weapons for Roethlisberger, the better. Wimbley should be able to beat Adams on most plays. The challenge will be containing Roethlisberger from running outside the pocket. Bernard Pollard. Wide receivers Antonio Brown and Emmanuel Sanders will face enough trouble against the Titans corners. Bernard Pollard, recently with the Super Bowl champion Ravens, has plenty of experience against his former division rival. His expertise will surely help the defense prepare, and his talent will be critical in forcing Roethlisberger to make difficult decisions. The longer the coverage can hold, the better chance of the Titans pass rush succeeding. Oh yeah, and he happens to be one of the hardest hitting safeties in the game. That should help as well. Expect the Steelers receivers to be cautious going over the middle. Let’s see if the Titans can start their season with a great victory before taking on the division champion Texans in Houston for week 2.